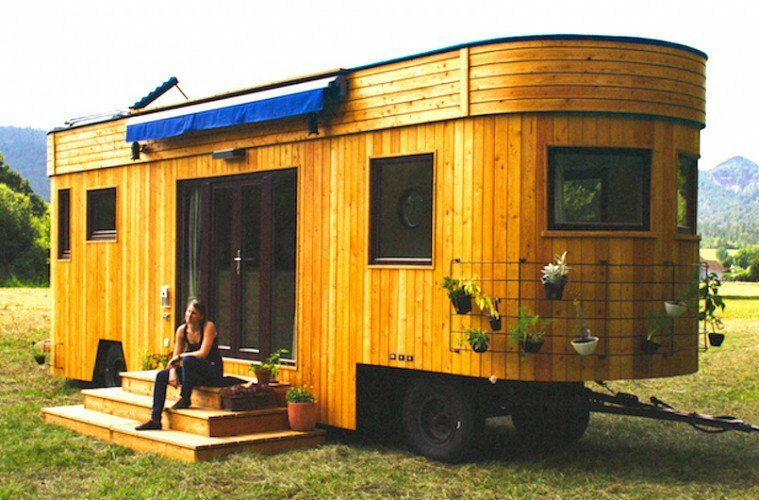 Live Off-Grid & Travel In This Beautiful Tiny Home Caravan - Take A Look Inside! 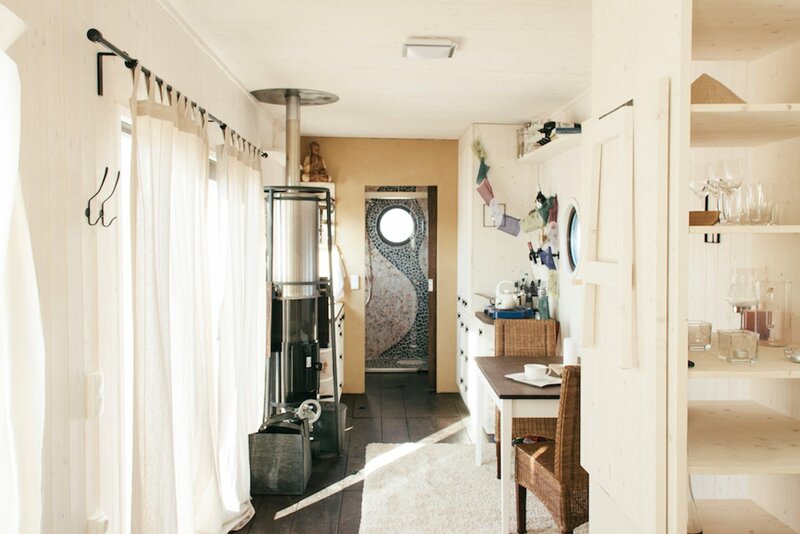 Home » earth » holidays » Live Off-Grid & Travel In This Beautiful Tiny Home Caravan - Take A Look Inside! 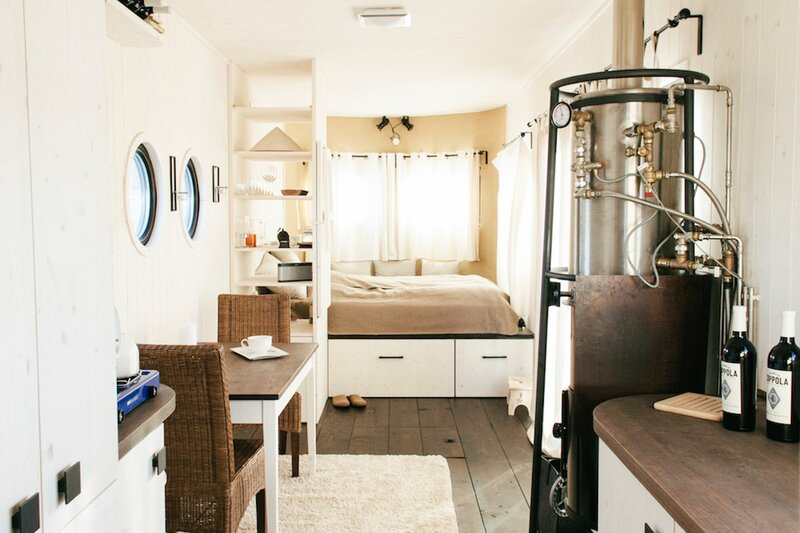 If it was always your dream to live in a tiny home, a travelling caravan, or an off-grid home, then the Wohnwagon (translated as Living Wagon), is definitely for you! Manufactured in Austria, this mobile home is eco-friendly, energy efficient, and can fit within the footprint of a parking spot. The solar powered wagon is built with locally sourced, natural and recycled materials, has a green roof and solar panels and the best part is, it can be towed practically anywhere. The tiny house movement is rapidly growing alongside the minimalist movement. People across the globe are realizing that having lots of space for more and more stuff just isn’t important to them anymore, nor is it giving them a sense of fulfillment in their lives. The rounded frame of the tiny unit is made from beautiful, natural larch, which helps it blend right into its surroundings. It is insulated with sheep wool, which was a resource that was available locally. The green roof assists in insulating the home during the winter and helps keep it cool during the summer. There are large triple glazed windows, assisting with insulation and sound reduction and they bring in ample amounts of light, while making the space appear larger. The solar photovolactic rooftop panels generate renewable energy that is stored in batteries located in the false bottom of the caravan. This beauty even comes with a retractable patio and awning to literally turn the great outdoors into your own personal living room! The minimalist décor of the interior creates the feeling of even more room with its light cream-coloured tones. On one end of the caravan is the dedicated sleeping area with a large bed and then another smaller one that pulls out from underneath, and also room for storage. There is also a fold down table that can seat two, aside from the actual dining area that hosts a more permanent table and chairs. On the other end of the wagon are the kitchen, equipped with sink and stovetop, and the bathroom, which includes a composting toilet and shower. 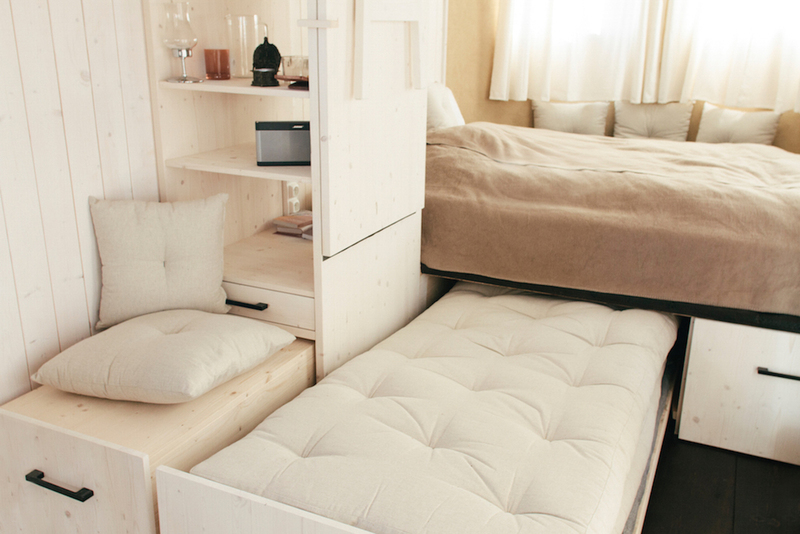 This unit really has it all and can be completely customized to order depending on what you want and where. The price ranges from 40,000 – 90,000 euros and you can find out more about about the Wohnwagon here. Why Would You Want To Live In A Wohnowagon? People are cashing in their homes and possessions for simpler lives, and sometimes a lot less working and a lot more time exploring the world. If you take a look around you, how much of the stuff you have do you actually need to have in your life? Chances are, not very much at all. Many people look at these tiny homes and think, there’s no way I could ever do that, but when you take into account what you actually need and the things that make you happy in life, it may seem at least a little bit more appealing. The following statements are from Bryce Langston, founder and creator of Living Big In A Tiny Home. 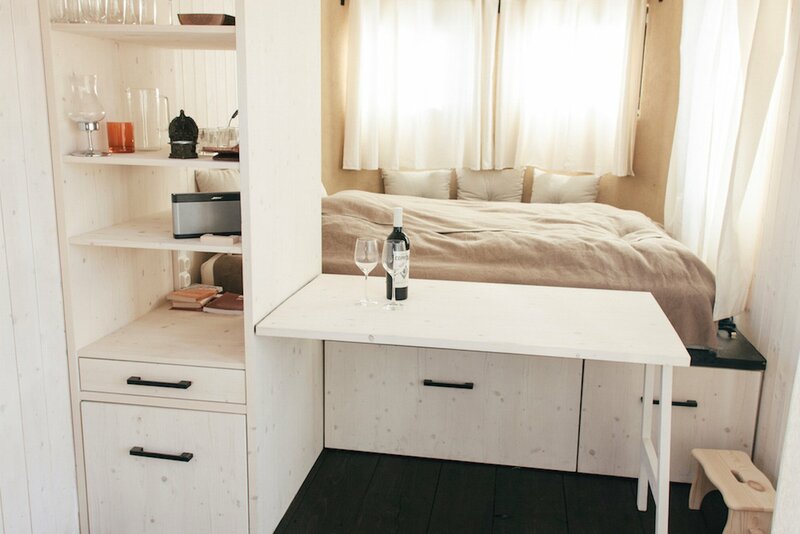 Yes the Wohnwagons specifically are quite pricey for most people, but there are many different styles of tiny homes in practically any price range, especially if you were to build and design it yourself. Being able to create your own energy can also help drastically cut down on your expenses over time. Nowadays, with the current housing market, it is hard to imagine that someone like myself, a 26 year-old-working full-time, will ever be able to afford to buy their own home and especially not without accumulating a massive amount of debt. It is important for people to understand that at least there are some other options. There are literally thousands of different types of tiny homes. Some are off-grid ready, some are stationary, while some you can drive to wherever you’d like to park them. We have written on the subject of tiny-homes and off-grid living A LOT on CE. To learn more about this unconventional style of living please click here and here to learn more! Do you have experience living in a tiny home and would like to share your story? Please join our discussion on the CE Community!